mysteries of Deep Space and Near-Earth Asteroids! 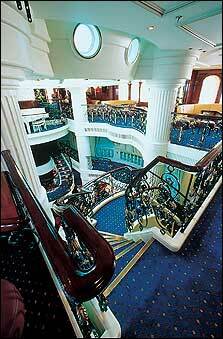 On board the 5-masted Yacht, Royal Clipper! We invite you to join us on this wonderful adventure to the Caribbean. Our adventure combines two tremendous opportunities—a chance to see the Arecibo Radio Telescope near San Juan, Puerto Rico, and an opportunity to explore the ring of volcanic islands called the Lesser Antilles which circle around the eastern Caribbean. 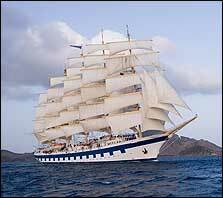 We’ll travel on board the 227-foot, 5-masted Royal Clipper—one of the world’s largest sailing yachts. During our visit to Puerto Rico, we will first explore San Juan, where an impressive fort and historic Old Town bring back visions of pirate days and the heritage of the Caribbean. We will then head into the mountains of Puerto Rico where you will meet Arecibo staff and scientists who organize Arecibo's operations and conduct fascinating research. 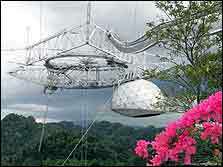 For all of you interested in learning about deep outer space and SETI (the search for extraterrestrial intelligence), the famous Arecibo Radio Telescope is the world’s largest and scientists have used it to conduct fascinating deep sky research. Scientists here delve into many aspects of the new deep space astronomies, from quasars and pulsars to the origins of the universe from the moment of the Big Bang. 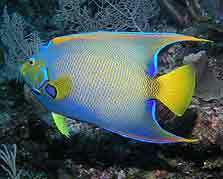 From Puerto Rico, we will fly to Barbados, just southeast of the amazing volcanic island chain of the Lesser Antilles. 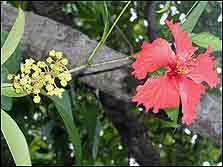 Originally the Carib Indians lived here, to be followed by European explorers and adventurers. The Spanish, French, and Dutch all claimed islands for themselves, and brought European culture and way of life to the islands, still seen in some of the historic forts and along narrow streets. Later Africans were brought to work in the sugar plantations. Their music and dancing set the tone for much of Caribbean culture and steelbands today. Now, we’ll have an opportunity to relive the heritage of the Caribbean as we explore these beautiful islands on board the fabulous—yet affordable— Royal Clipper! 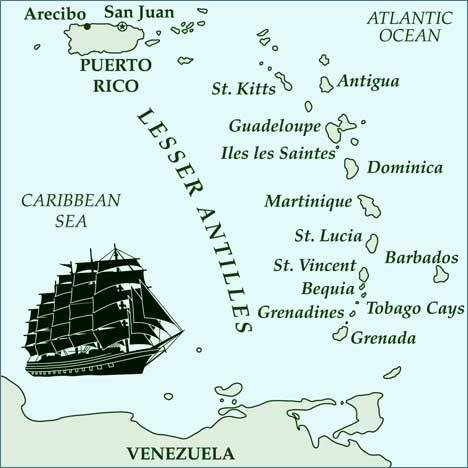 From Barbados, we will sail to St. Lucia, Dominica, Antigua, St Kitts, Isles les Saintes, and Martinique! There will be opportunities for snorkeling and beach activities, to go whale watching, to explore historic towns, go hiking in the rainforest, and to discover the night sky along with other Planetary Society members! It will be an amazing experience! We invite Planetary members with a sense of wonder and adventure to join us and come to the Caribbean this winter and explore the islands, underwater world, and the night skies of the Lesser Antilles. 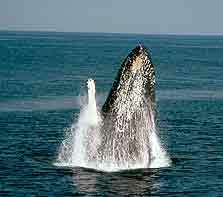 Copyright ©2001-2011 Betchart Expeditions, Inc. All rights reserved.